Height 5 feet 5¾ inches. Weight 129 lbs. Chest measurement 33½-33¾ inches. Complexion dark. Eyes brown. Hair dark. Eyes both 6/6. Hearing very good. Colour vision normal. Limbs and chest well formed. Full and perfect movement of all joints. Heart and lungs normal. Teeth deficient. No illnesses. Free from hernia, varicocele, varicose veins, haemorrhoids, inveterate or contagious skin disease. Vaccinated. Good bodily and mental health. No slight defects. No fits. William John Davey, who was born at Waitohi Flat, near Rangitira Valley, Temuka, on 9 August 1886 and baptised on 26 September 1886 at the Temuka Presbyterian Church, was the eldest son of John and Rebecca Maria (née Braddick) Davey of Rangitira Valley. He attended Rangitira Valley, Fairlie and Temuka District High schools. He was awarded first prize in the Second Class at the Rangitira Presbyterian Sabbath School at the annual distribution of prizes in August 1896, and in 1901 he gained a First Class certificate in the Middle Division examination. In 1899 he was allocated by the Board of Education £19 for board, books and fees at Temuka District High School. This was justified by his gaining a prize in Standard VII the following year. William was of a quiet disposition but very popular and had a large circle of friends. He was a member of the Temuka Presbyterian Church - taking a keen interest in church work generally, serving on the Management Committee and as leader of the Young Men's Bible Class. In 1908 he was elected to the missionary committee of the latter group. William was the one to thank the Methodist Bible Class for their kindness and hospitality in the winter of 1911. At the 1912 combined Bible Classes function he responded to the toast to “The Clergy” and was himself honoured in the toast to “The Bachelors”. Shortly after being elected a councillor in May 1913, he gave a humorous reading at a “Kitchen Evening” in honour of two members who were soon to marry. In August 1913 the Bible Classes held a mock banquet, at which William was one of the speech-makers, speaking to the toast to the “N.Z. Parliament”. On 12 May 1914 the Temuka Mechanics Institute held a debate on the question “Is American interference in Mexico justified?” William was one of the speakers on the affirmative side, which handled the subject capably, although losing the debate. William was also involved with the nlocal Territorials, returning a score of 50, well up the ranking, when the Temuka Territorials fired their annual shooting match on 3 June 1914. Before leaving for Trentham, William was one of three members entertained by the Bible class and presented with a cheque for one pound to purchase some memento of their old associations; and presented with soldiers' comforts by members of the Y.W.B.C. In addition each man was presented with a body belt, a diary and a soldier's outfit. William was again one of three volunteers who were farewelled at a concert and dance at Ladymoor, Rangitira Valley, on 15 March 1916. On this occasion he was presented with a travelling companion. In hindsight there is marked poignancy in the comments made by the gentleman who presided on the evening - that there were feelings of pride and gratitude that so many of their young men had gone forth to assist the Empire in its time of peril, but also sadness and sorrow that so many had been fated to lay down their lives in defence of their country, home and kindred; he hoped that they would return safe and sound. At the annual meeting of the Temuka Presbyterian Bible Class in July 1916, it was noted that six of the class had left with the Reinforcements. Although W. J. Davey was one of those on active service, he was elected the leader. And at the annual meeting of the Church congregation the following month, W. J. Davey was elected to the committee although it was recorded that he was away at the front. At the time of enlisting William was farming with his father at Rangitira Valley, as he had probably done since leaving school. Standing at 5 feet 5¾ inches and weighing 129 pounds, William was in good physical shape. He embarked for Suez with the 11th Reinforcements on 1 April 1916 and shortly after arrival embarked for France. There in France he met his death after only a few months of service. Private William John Davey was killed in action on 27 September 1916 fighting at the Somme in France. “He died for his country” observed his parents. His name is inscribed on the Caterpillar Valley (New Zealand) Memorial at the Somme. Fourteen months later the Temuka Borough memorial was unveiled before a very large gathering in the domain, including Temuka Territorials and Cadets, Temuka and Geraldine returned soldiers, the Temuka Pipe Band, the Salvation Army Band, the children of the district schools, national and local dignitaries, and local folk. Opening proceedings, the Mayor said “We regret that this occasion has arisen, but having done so we must look back with pride at the actions of those who rose to the call of the Motherland, which was in peril. Many of those brave boys who left these shores did not return, and we have erected this memorial to their memory, . . . “ Following hymns and scripture readings, His Excellency the Governor-General formally unveiled the monument and the local M.P. read out the names inscribed thereon. His plaque and scroll and advice re his medals (British War Medal and Victory Medal) were sent to his father. The next year this bereaved father contributed to Christmas comforts “for the trenches”. Two of his brothers, Alfred James Davey and Walter Henry Davey, executed his will. Included with the file is the letter dated 2 November 1916 written by Major D. B. Blair to John Davey. “I wish to express to you, he writes, our deep sorrow at the loss of your gallant son who fell in action on the 27th September. He was a good soldier and liked by everyone for he was of a cheery disposition in all sorts of trials, and your loss is our loss too.” In his will William remembered all his brothers and sisters in equal shares. His brother Ernest Samuel Davey also served in World War One. Another brother, Walter Henry Davey, enlisted and served in New Zealand. William was one of ten men in the Waitohi district who had made the supreme sacrifice. 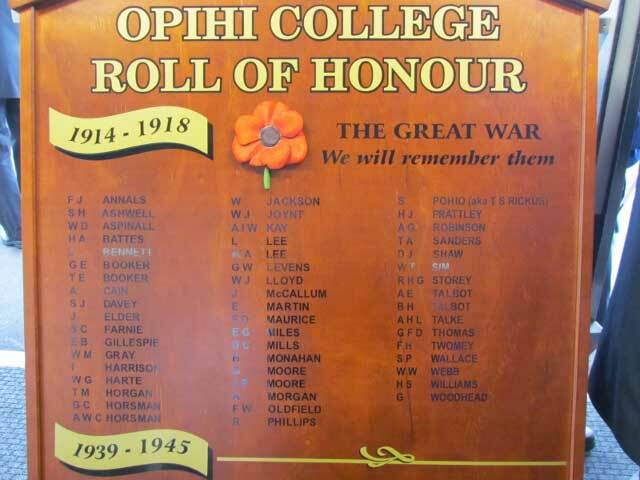 Individual memorial certificates were to be delivered to their relatives by the Waitohi Flat Presentation and Memorial Committee, and their names were to be inscribed on the war memorial. 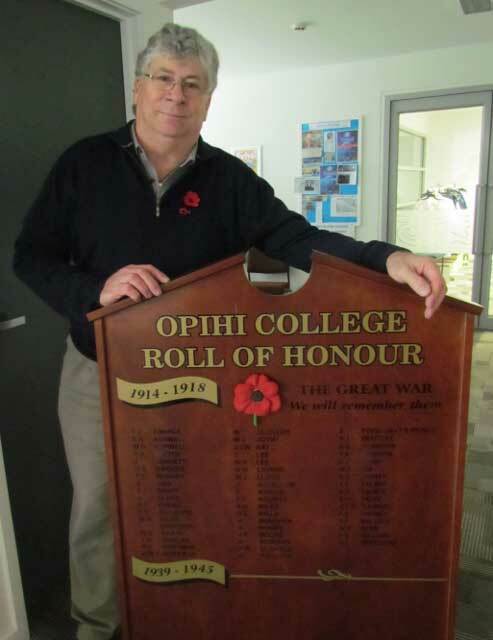 His name is inscribed also on the Timaru War Memorial Wall and the Temuka War Memorial; the Temuka District High School Roll of Honour and, in 2015, on the newly constructed Opihi College (formerly Temuka) Roll of Honour. William was a very popular young man, and was “highly respected by all with whom he came in contact”.